Studio City, CA. One of the great pleasures of writing about music arises on those rare occasions when a relatively unknown artist makes an unheralded, but irresistibly appealing first appearance. 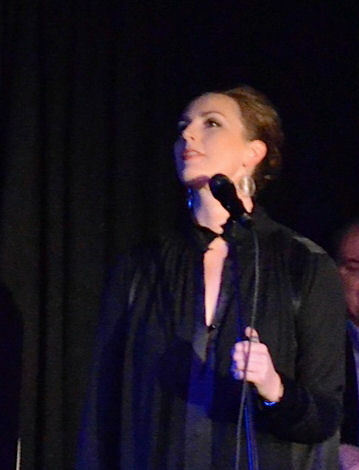 As happened Friday night in the performance of Danish singer Sinne Eeg (pronounced ‘Seen-uh Eeg) at Vitello’s upstairs jazz room. Although Eeg is a highly regarded jazz artist in Europe, she is little known in the U.S., and the Vitello’s gig was one of her initial performances in this country. In a two set program encompassing standards as well as her own originals, she sang with the enthusiastic support of saxophonist Roger Neumann, guitarist Larry Koonse, bassist Darek Oles and drummer Peter Erskine. The lyrics, as well as her between song comments, were delivered in flawless English. Sinne’s choice of material embraced a range of songs demanding rich interpretive skills, lyrically, musically and dramatically. And she delivered, on all counts. As she sang one mesmerizing tune after another, I couldn’t help but wonder why this remarkable jazz artist has had such minimal visibility outside of Europe. She has released six albums in the past ten years – the latest being The Beauty of Sadness in which she performs with a full orchestra. And both her recorded and her live performances merit the full attention of jazz fans (and jazz journalists) around the world. Sinne is one of the rare jazz vocalists who fully deserve the label of “musicians’ musician. Why? Because everything she sings issues from a treasure trove of interpretive story telling and multi-layered musicality. In this performance, her scatting reached far beyond the white-note be-bopping characteristic of many – maybe even most – jazz singers. Sinne, who played alto saxophone as a youth – scatted with the adventurous harmonic subtlety and rhythmic drive of a world class horn player. And she did so while remaining in full contextual contact with the inner meaning of a song. 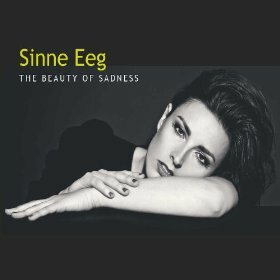 The name – Sinne Eeg – maybe hard to remember, at first. But anyone who listens to her album, The Beauty of Sadness, as well as her similarly appealing Don’t Be Blue, or hears her in live performance will have no difficulty recalling either the name or the unforgettable music of this remarkable artist. If there’s any justice in the world, Grammy nominations will be beckoning to Sinne in 2013 and beyond. Performance photos by Faith Frenz. Previous Post Live Jazz: The Jon Mayer Trio at H.O.M.E.